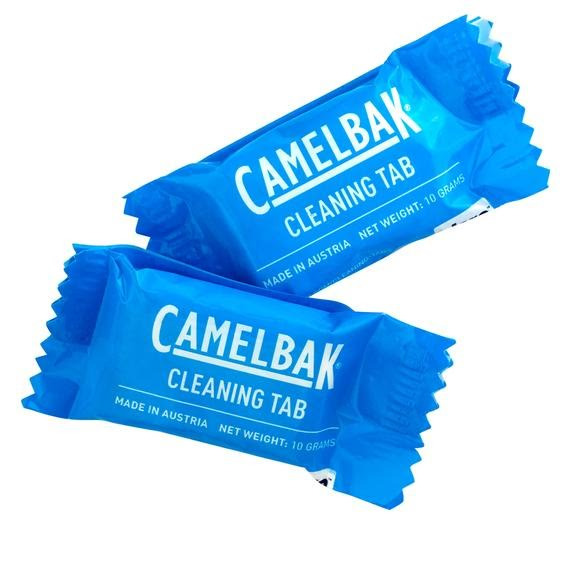 Keep your reservoir and water bottles free from taste and odor and ready for your next adventure with CamelBak's cleaning tablets. Each pack contains 8 cleaning tablets, which are notched to easily break in half for cleaning smaller vessels. Keep your reservoir and water bottles free from taste and odor and ready for your next adventure with CamelBak &apos;s cleaning tablets. Each pack contains 8 cleaning tablets, which are notched to easily break in half for cleaning smaller vessels.